Dear friends to day we are going to introduce you to a new and very amazing app named ” SpeakFree”. 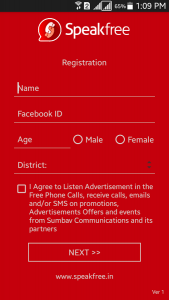 The Speakfree app is an Android mobile Application developed by Sumbav Communications. 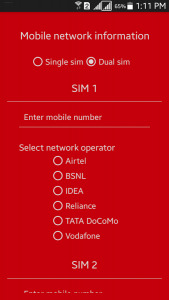 This SpeakFree application is very interesting app which helps a user to make free phone calls without using the internet from Kerala to Anywhere in India, yes you heard it right its completely free you don’t need internet connection or any other wifi connections to make calls. When a user make call the user have to listen to 10 to 20-second advertisements of products, offers, and services. 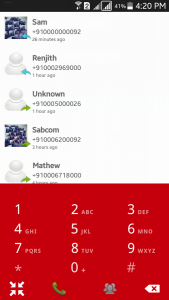 The interesting thing is that the app needs to be installed only in the caller’s phone, not in the receiver’s. Currently the application developers are offering their service in Kerala only but users can make calls all over India. users can make unlimited call every day and the call duration of each call is limited to 3 minitues. At the end of call, users will be prompted with a SMS about the offers of advertisement they just heard. If you use this application regularly it will surely reduce your phone bill dramatically.